With the vast amount of information available online, finding credible information on autism – is a challenge. Altogether Autism can provide you with the information you need. In 2017, 99% of our requesters rated the information they received from us as excellent/good. We strive to provide information that meets the needs of each specific request and that it contains a wide range of relevant, evidence-based material. We supply information to autistic people, to parents, educators, support workers, GPs, police and any other professional working with adults or children on the autism spectrum. 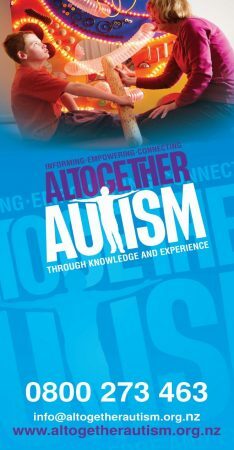 We are all about autism for all – Altogether Autism. The information was great and game me a lot of ideas of which direction to take. Everyone I have dealt with in this process was fantastic! If you would like information on any autism-related topic, get in touch with one of the team at Altogether Autism today. Meet the team at Altogether Autism – we are a diverse bunch with a wide range of experience. For our more complex requests, Altogether Autism has a panel of professionals who work in a number of different fields around the country. This panel, along with a consultant clinical psychologist, provide the latest information on autism spectrum, and issues surrounding autism spectrum.